All in stock yarn will be 20% off! 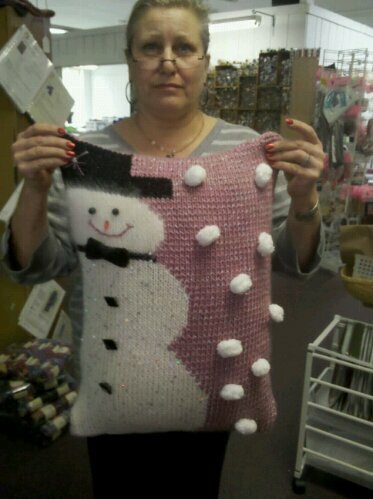 We will have open knitting all day with door prizes every hour! Bring your leftover treats to share and sit and knit the day away! We just got in more Malabrigo Rasta and around 30 colors of Madeline Tosh sock yarn is on it’s way. I also ordered really cute measuring tapes from Lantern Moon. They will also be in next week. With proding from Suzannie and Elaine, I am joining the “Black Friday”. craziness! We will have all in stock yarn at a 20% discount. Sale hours will be Friday Nov. 26 from 10am-6pm. (No Early Shopping Please). There will also be great specials throughout the day! Pass the word! 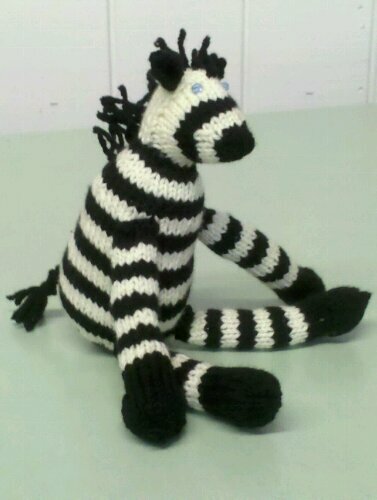 The Zebra is going to be a gift for my niece. It is one of 4 animals on the “Safari Friends” pattern by Knitting at Noon. 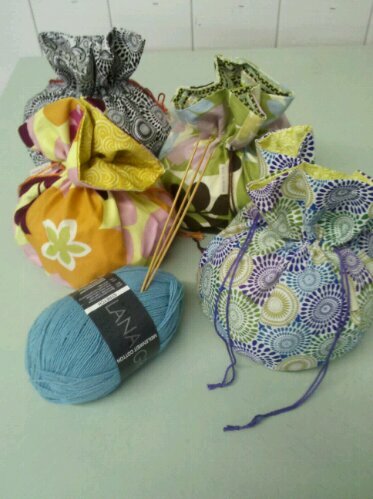 The cloth bags from Classic Elite arrived just in time to give to your knit group buddies for the holidays! They come in 4 color options, and cost $22. This weekend. Ravelry will be here from 12-4pm. All are welcome! pillow class starts on Thursday. Times are 10am-12 or 6-8pm. Check out blog for October 7 for a picture. Next cruise meeting will be Wednesday November 17 at 5:30 pm. We will be starting our shawl to wear on the cruise. If you are still thinking about joining on the cruise,please come in. Monday - 11 a.m. to 6 p.m.
Tuesday - 11 a.m. to 7 p.m.
Wednesday - 11 a.m. to 6 p.m.
Thursday - 11 a.m. to 7 p.m.
Friday - 11 a.m. to 6 p.m.
Saturday - 10 a.m. to 4:30 p.m.
Sunday - Noon to 4 p.m.